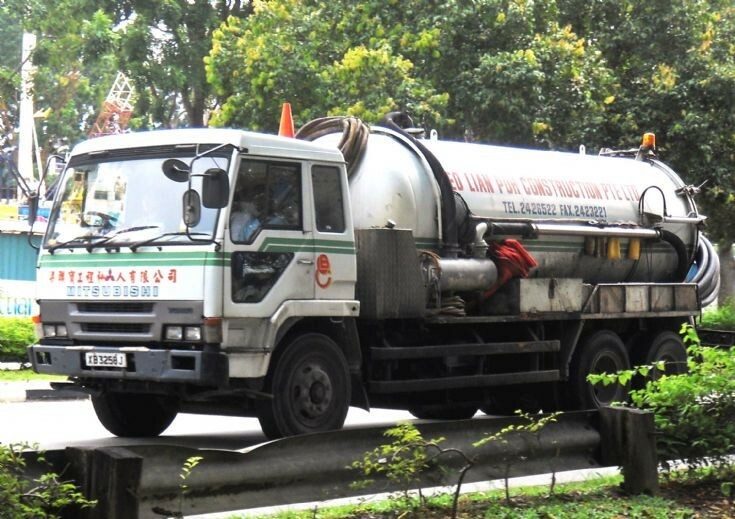 This Mitsubishi Fuso Great FU416 series vacuum pump sludge storage tanker truck operated by Neo Lian Poh Construction Pte Ltd is spotted here passing by at Yishun New Town in Singapore. It is heading southward towards the city to an unknown destination. Photo taken in Aug 2010.